Living or working in the City can leave your face and skin subjected to pollution and dirt on a daily basis. Constant travelling on the tube, bus or train puts you in constant contact with everyday aggressors as well as being surrounded by a mass of people. This not only affects your skin but your general wellbeing. Most of us can also be guilty of burning the candle at both ends, late nights and early mornings which don’t leave your skin looking all that good and of course we all have gone to bed with our make-up on. 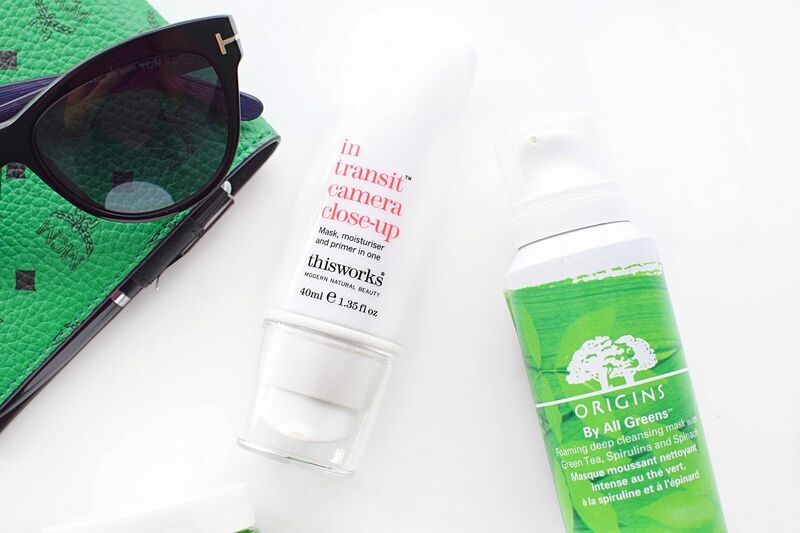 Here are 6 skincare products that I would recommend for any City dweller. REN’s Flash Defence Mist is a brand new product that launched this month and I’m hooked already. It acts as a shield to the skin and protects it from the ageing effects of environmental pollution and harmful effects of free radicals. As well as strengthening skin’s natural defences against oxidative stress and it’s ability to detox, it helps to stop that grey look and signs of fatigue that will occur throughout the day. I’ve been using it every day sprayed over make-up and definitely found I look less tired throughout the day, it’s also helped to keep my make-up on which it doesn’t promise at all. So a win win from me. City life can be a busy one, so if you don’t have much time for skincare then the best time is overnight. I love night products as they repair whilst you sleep, which you would be doing anyway, so it’s a no brainer to use one. 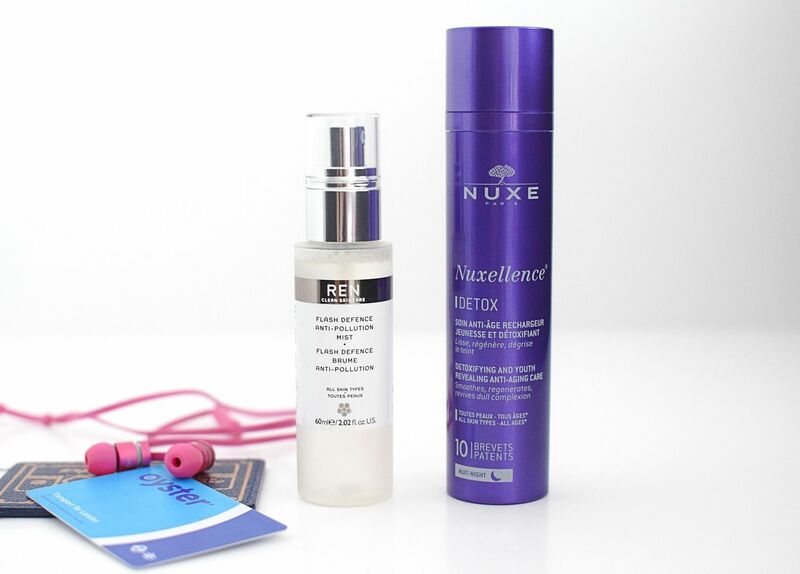 Nuxe Detox recharges the skin with youth by repairing mitochondrial DNA and detoxifies cells at night for a radiant look in the morning and you’ll find a dull complexion is revived, regenerated and detoxified. It has passionflower which helps hydrate, I am just loving this in any product at the moment, as well as silk tree which is great for anti-ageing properties. Use at night on its own or under your regular night cream. After a day out in the smog, all you want to do is wash your face and Origins Cleansing Mask is a really deep clean cleanser, that will remove all traces of dirt and unclog pores, without stripping the skin of its moisture. It starts out as a liquid and then as you wet it turns into more of a foam – which is even suitable for dry skin. It has green tea, spirulina and spinach, which are great to detox the skin and coconut and Kaolin clay to help remove skin-damaging dirt, pollution and pore cloggers. What can be better when you don’t have much time, than to use a 3-1 product. This works have the best time-saving product, a mask, moisturiser and primer in one and with Victoria Beckham a fan of this product it’s definitely one to add to the city girl list. Banish signs of fatigue and apply this under your make-up and let it work it’s wonders throughout the day. A boost of plant oils, hyaluronic acid, argan and starflower oils and a hit of caffeine will help you have that ‘alive’ look for your skin. Kiehl’s are another brand to recently bring out a pollution defending product. The mask has three levels of protection and treatment against the damaging effects of pollution and helps to strengthen the skin’s barrier. It’s recommended to use 2-3 times a week as a treatment. I have been loving this product and you can read my full review of the mask here. Use it alongside the Kiehl’s Daily Reviving Concentrate to keep skin looking radiant. 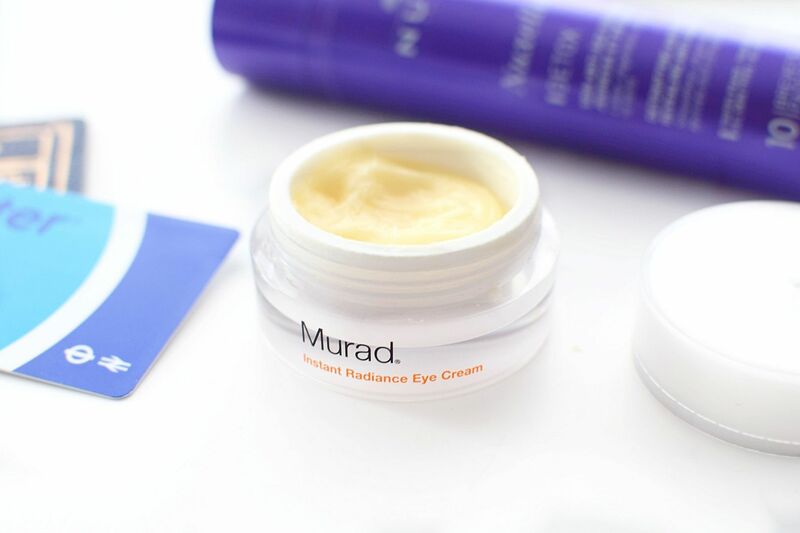 If you are a regular reader you’ll know I’m a big fan of Murad and their Essential-C range and the Murad SPF eye cream in the range was definitely a favourite. Now the other eye cream in the Essential-C range has a new formula and it has won me over. It has a soft to touch feel, not like a cream, not like a gel, more if anything like a balm. It can be used even on the eyelid and the tangerine butter smooths and hydrates the eye area. It’s perfect to protect and also prime the eyes for make-up too. It brightens and smooths the under-eye area and is clinically proven to minimise the appearance of dark circles by 30% in 15 minutes and 48% with continuous use, whilst the Vitamin C rich formula brightens and offers a more radiant looking eye area. What late night? Do you have any City girl skin saviours you can share?